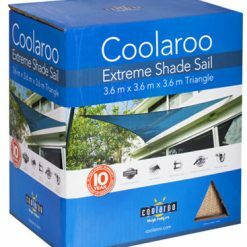 Shade Sails are unique and stylish geometric-designed shade solutions that extend your living space and modernise your home’s aesthetics. 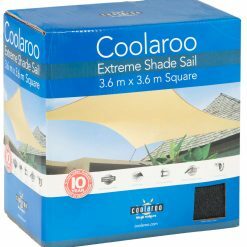 Eco-friendly and maintenance-free shading for patios, decks, carports, pools, courtyards and kids play areas. 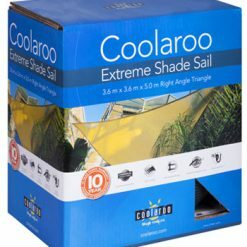 Coolaroo shade sails are designed to be attached to your building’s exterior or setup independently in your outdoor space shade sails are the most innovative and unique way to shade your space. 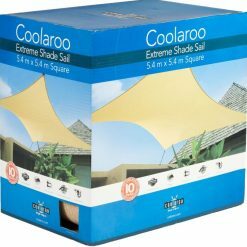 Choose from squares and triangles in a variety of colours to create the perfect outdoor gathering spaces. 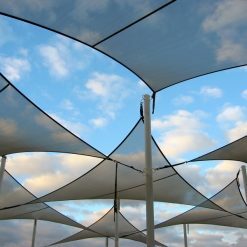 Please note that our shade sails ranges from quick and temporary shade canopies to semi-permanent style shade structures. 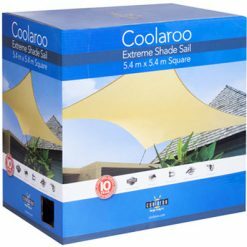 Coolaroo Extreme Outdoor Shades is a semi-permanent structure manufactured from commercial grade fabric with durable stainless steel fittings for a long lasting product. 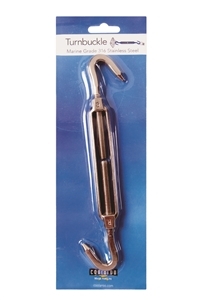 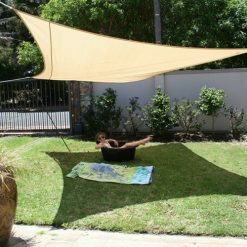 Ready to Hang Shade Sails are portable shades ideal for picnics, pools, at the beach and camping. 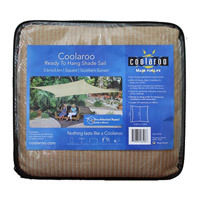 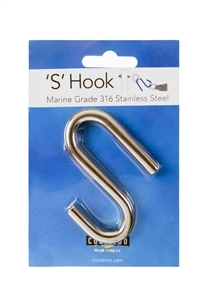 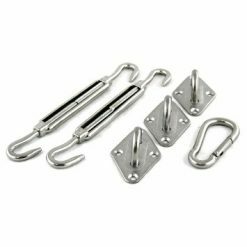 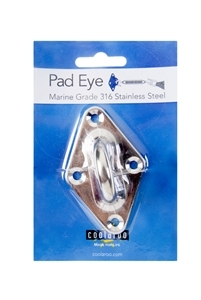 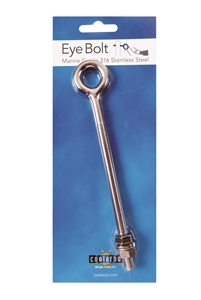 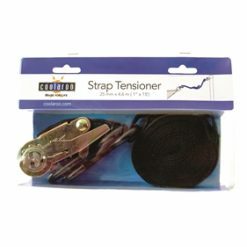 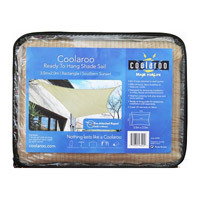 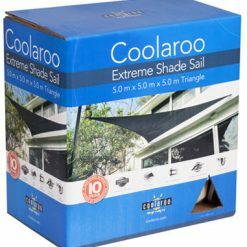 Find an easy selection of Coolaroo supplies, Coolaroo fixing accessories and Coolraroo Shade Sails at Blinds Direct. 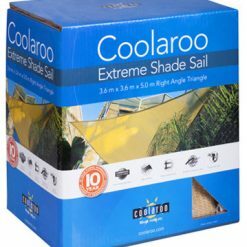 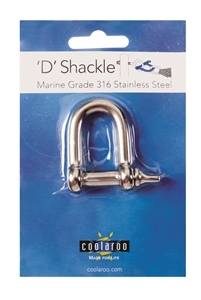 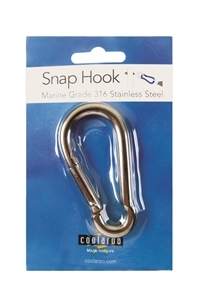 Coolaroo is manufactured by the world leader in exterior fabric. 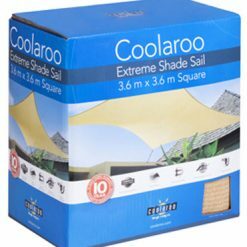 The company is based in Australia and has designed the shade sail to withstand the harsh Australian environment. 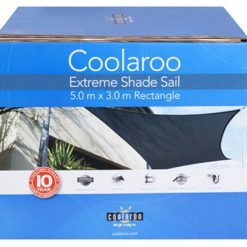 It is, therefore, well suited to Africa’s weather extremes.